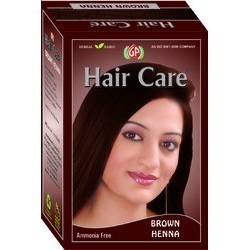 We are the leading manufacturer and supplier of an excellent range of Organic Henna Hair Color that are manufactured using 100 % natural herbal raw material that having excellent medicinal value. These Organic Hair Colors are manufactured after complete laboratory testing that is done by our team of expert professionals. Burgundy Hair Color that we manufacture and supply throughout the world are used to provide softness and natural color to hair. We manufacture these products by following certain National and International standards. 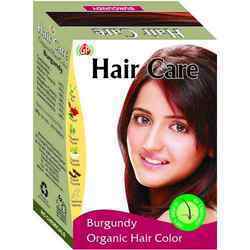 We provide complete satisfaction to our esteemed clients by providing qualitative range of Burgundy Hair Color which has excellent results without any side effects. Dark Brown Hair Color that we offer is perfect to provide strength to Hairs as well as covers grays. These can be used by men or women as to provide unique and attractive color. We manufacture Dark Brown Hair Color using excellent quality organic raw material that doesn’t include any chemical substances like peroxide, ammonia, salts etc. Unique range of Mahogany Hair Color that we offer is available in several pack sizes and is widely renowned as dirt Buster for various scalps. We do well hygienic & standard packaging of these Hair care products as per the clients need and trade throughout the world with complete satisfaction. 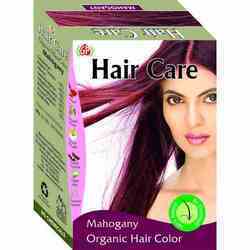 We are manufacturers & exporters of vibrant shades which produce exact color effects on all hair types. With our extensive research unit and handwork, we have developed an extensive variety of henna based hair colors and henna based hair dye. Our specialized r&d unit tested and formulated a wide range of different shades of henna based hair colors. We offer a wide array of henna based natural hair colors as per the current trend in hair styling & coloring. We are engaged in offering comprehensive range of Black Henna Hair Oil that is manufactured using extreme quality of natural herbs as a raw material. These are renewed for excellent results like soft black colored hair, shiny, fragrance, easy to use and many more. We export these Black Henna dyes in various parts of the world at competitive prices. 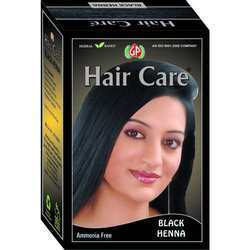 Black Hair Color that we offer are available in various size packs. These are widely used for cleaning Hair as well strengthening the hairs. These Black Hair Colors are further renowned for healthy hair product and are widely demanded throughout the world. We offer these in excellent packaging. We are the leading manufacturer and supplier of a wide range of Natural Hair Dyes that is available in for men & women and in various attractive colors. 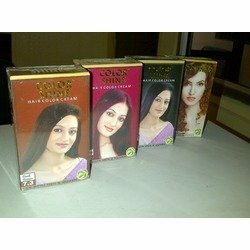 Color shine hair colors (herbal based hair color) Color shine hair colors are convenient to use and spread on hair evenly enriched with goodness if rare Indian herbs like henna, amla and shikakai, these colors gel extremely well with all types of skin tones and give a natural look to the hair. All these herbs are natural hair conditioners, which enhance hair growth and make hair shining, silky and strong. Natural black shades, natural brown and light brown shades are the basic shades, which are used for covering grey hair by people of all age groups. The herbal based formula covers all types of grey hair and gives a natural look to enhance your personality with sparkling younger look. 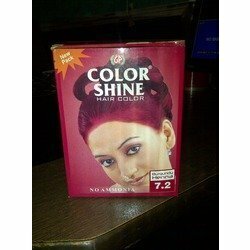 We are offering a very high quality range of Color Shine Burgundy Hair Color. Available at market leading price. 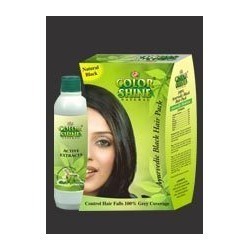 Color shine hair color creams are cream based hair colors enriched with natural oils and hair nourishing ingredients for vibrant shine with perfect long lasting natural looking colors. Its rich creamy mixture does not drip and evenly penetrates each strand from root to tip to ensure perfect coverage of grey hair. Its advanced conditioning formula maintains pH balance and makes the hair silky and incredibly soft with complete protection. Color mate hair color creams are available in following 6 vibrant shades, natural black, dark brown, golden brown, burgundy, mahogany & copper red. Packing one tube of 30 ml hair color cream, 1 bottle of 30 ml developer, along with 1 sachet of conditioner of 5 ml and a pair of gloves in a box, 10 boxes in a shrink, such 18 shrink packs i.e. 180 boxes in a carton box.